When you begin to use Novell Vibe OnPrem, the first thing you might want to do is set up your personal workspace and create a team workspace. 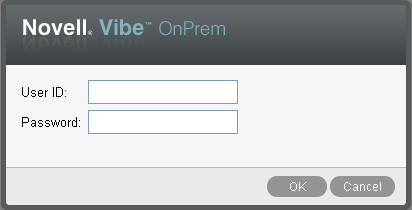 This section explains how to get started with Vibe by accomplishing these important tasks. Launch a Web browser (such as Mozilla Firefox or Internet Explorer). Vibe Feed: Displays live feeds of the latest entries in your teams, places you are following, or across the entire site. Log Out: Logs you out of the Vibe site. Help Documentation: Displays the Vibe Help documentation. Background Image: Click the Browse icon to browse to an image on your computer’s file system. The provided drop-down list contains images only if you are branding a team workspace and if you have attached images to the workspace. Milestones folders track the progress of several Tasks folders. Milestones folders are most often used in those workspaces, although they can also be used in other workspaces. 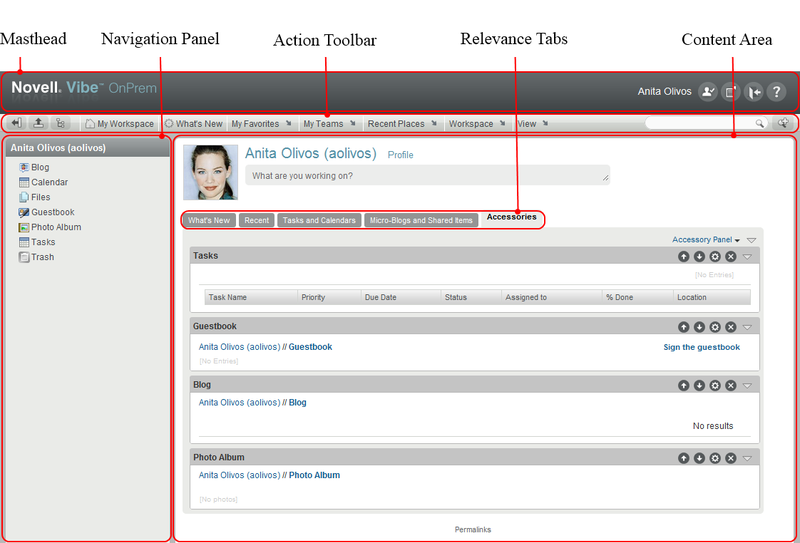 Click the Novell Vibe Help icon , located in the upper right corner of each Vibe page.